Brodeur Partners has filed a lawsuit against former client BlackBerry, alleging it was never paid for its work during the launch campaign for the BlackBerry 10 operating system and Q10 and Z10 smartphones. The agency is seeking damages of approximately $700,000 (£437,500) for PR services provided in late 2012 and early 2013, as BlackBerry attempted to revitalise its brand and gain back market share from competitors such as Apple and Samsung. Brodeur, which served as the smartphone maker's PR agency in North America for about 16 years, claims it has not been compensated for spending more than 3,000 hours outside the scope of its retainer services during the BlackBerry 10 launch. The lawsuit was filed in US District Court in Massachusetts on 20 September. BlackBerry said on Monday that it had reached an agreement with Canadian investment firm Fairfax Financial Holdings to take the company private. Last week, the mobile-device company said it expects to report a quarterly loss of nearly $1bn (£630m), largely due to unsold BlackBerry 10 phones. BlackBerry is also reportedly planning to lay off about 4,500 employees, 40% of its workforce. 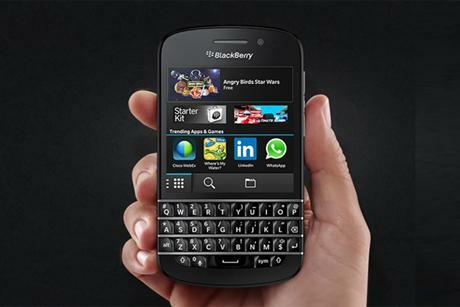 Late last year, BlackBerry began a global review to consolidate its PR agencies. According to court documents, the company asked long-time agency partner Brodeur to pitch for the business while simultaneously working on the BlackBerry 10 launch. BlackBerry comms senior vice-president Heidi Davidson allegedly told Brodeur CEO Andy Coville last October to focus the agency's efforts on the launch rather than the pitch because "Brodeur did not have anything to worry about" with the review, according to court documents. After pitching for the business last February, Brodeur repeatedly asked for feedback but did not receive it, the firm claims in court documents. During this period, Brodeur helped BlackBerry execute a comms campaign for the launch "that was unlike anything BlackBerry had done in recent years and was well in excess of any work that Brodeur had been doing", according to court filings. Brodeur claims the campaign resulted in more than 13,000 news articles and broadcast stories in North America alone, with influential journalists praising the phones. On April 25, BlackBerry notified Brodeur that it was terminating its work with the agency. BlackBerry consolidated most of its global PR work with a team from APCO Worldwide and Text 100. The account was estimated to be worth $10m (£6.25m). At the time, Coville told PRWeek that her firm had the choice of either focusing on the global review or concentrating on BlackBerry's relaunch and it chose the latter. "We responsibly felt we had to focus on the launch of what is starting to become one of the greatest comeback stories in technology history," she said at the time, noting that working on the launch was a highlight of her firm's collaboration with the mobile device maker. Coville did not respond to requests for comment on the lawsuit. The plaintiff's attorney, Dahlia Fetouh of Goodwin Procter, declined to comment. BlackBerry said in a statement that it has not been served with a complaint. "If served, BlackBerry will vigorously defend itself against any such allegations made by [Brodeur], which are without merit," the company said in the emailed statement. "BlackBerry pays legitimate invoices. BlackBerry cannot make any further comment on this matter."